Wow, February is half over! Can you believe it?! 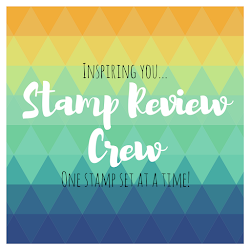 And it is time for another edition of the Stamp Review Crew. This time was are going to really stretch our creative muscles with the Wondrous Wreath set. 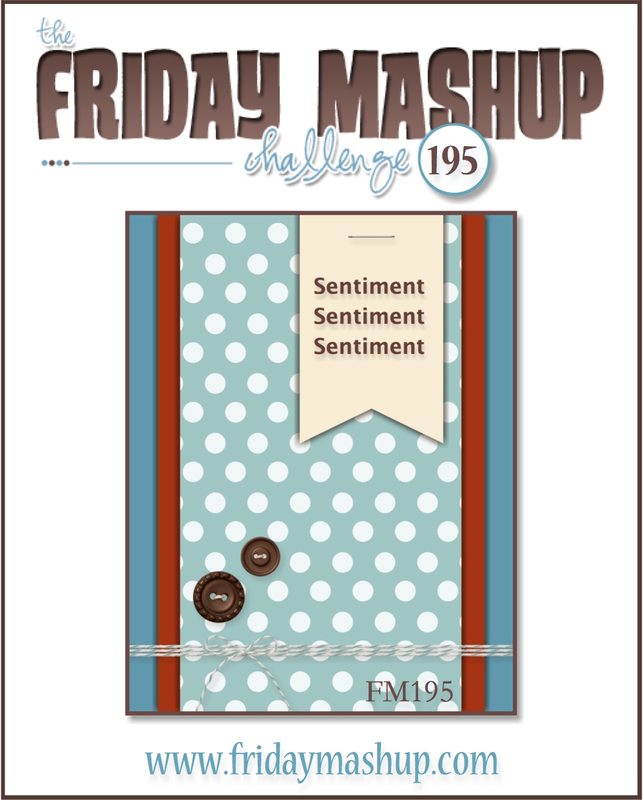 It was a favorite from the Holiday Mini that carried over, and boy are we glad it did! If you are following around in order, then you just arrived from Mike Funke's blog and his fantastic creation. Now it is my turn to widen your horizons with a fresh idea with this set. I added more candles on the instead, just to carry the theme. That's all I've got for you! 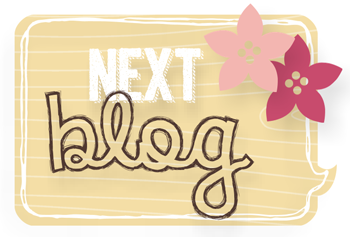 Time to go check out what Yapha Mason has come up with! My first step was to stamp the feather image repeatedly with Versamark ink on a panel of watercolor paper, then heat embossed with White embossing powder. Then I wet the watercolor paper with plain water, then added the stripes of different colors. After the colors died, I spritzed again with some Pearlized water (Perfect Pearls in Pearl color mixed in a water mister). 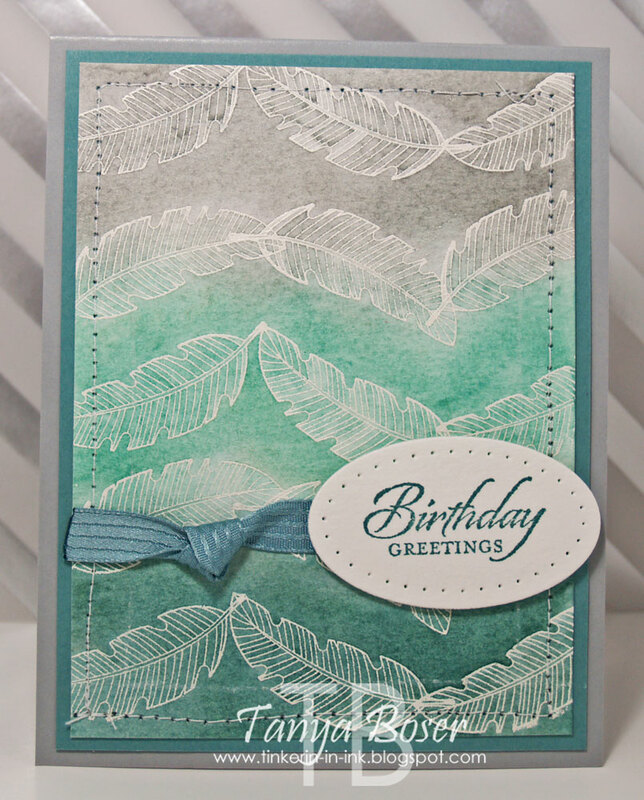 I stamped a feather in each color of ink on the inside edge and drew a border with my Signo white gel pen, of course! 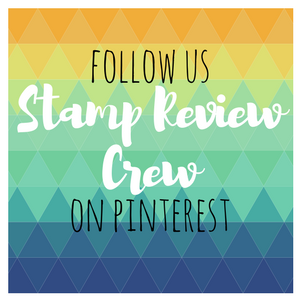 Here are a few New Arrivals to the Stampin' Up scene, go check them out! I personally can't wait to get my hands on that new Photopolymer set! More of the same inside, and I used a PTI sentiment set to finish it off. Ok, what should I share about myself today?! I am an avid Science Fiction/Fantasy geek. And one of my favorite authors is Michelle Sagara. Or Michelle West, she writes under both names. My favorite series of hers is the Chronicles of Elantra and every time there is a new book coming out, I have to read at least the 2 preceding. Or the whole series from the beginning :) I also read to go to sleep. And it is much more effective if I read a book I have already read, that way I don't stay up until the wee hours reading instead of sleeping, lol. I did not actually use watercolor paper this time. It is Naturals White cardstock, and it handles watercoloring almost as well as the real thing. 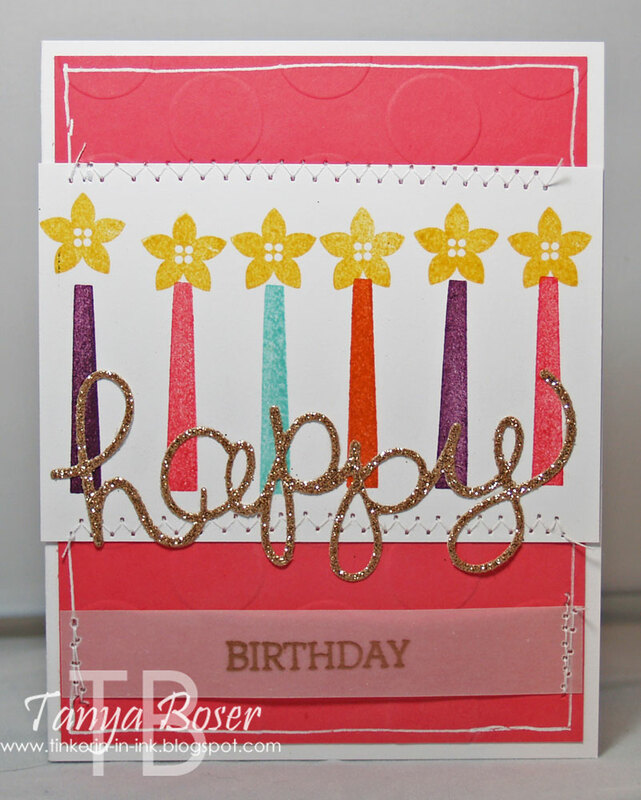 First, I embossed the flowers in White embossing powder, then I used the fine tip Aquapainter to color the flowers in Coastal Cabana, Blackberry Bliss, and Hello Honey. I love how the colors bled and blended! The background was then watercolored with dilute Crumb Cake reinker. The sentiment is a favorite of mine from PTI. Here is a little closer shot of the card. 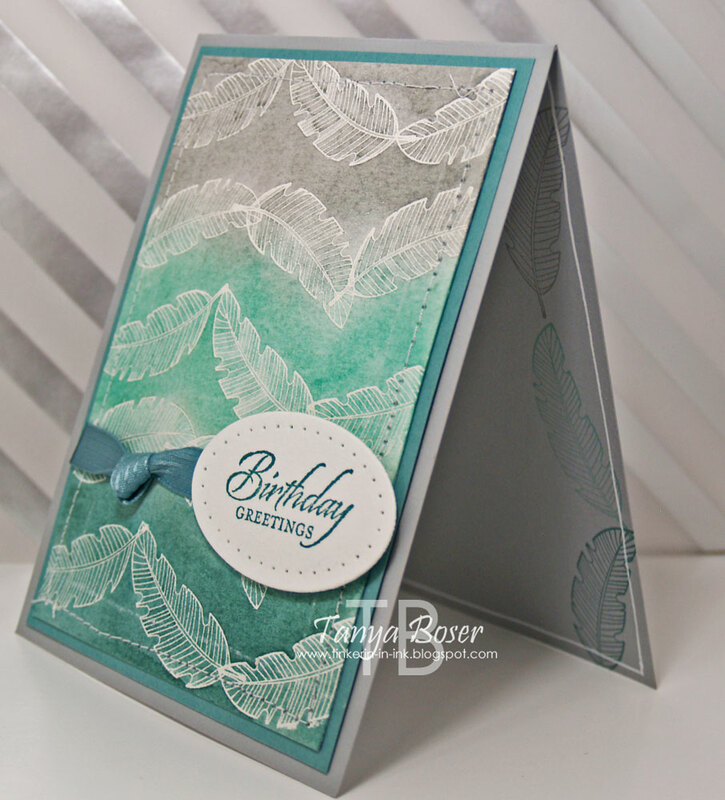 I don't have this card anymore, but I am seriously thinking of making it again! Silly I know, but I loved how it turned out. 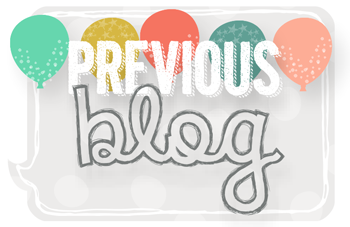 Now, to continue with my goal to share more about me! My hubby and I are going on our first cruise in March. We will be going to Labadee, Haiti, then Falmouth, Jamaica, then Georgetown, Grand Cayman, and last stop before cruising home will be Cozumel, Mexico. Anybody have suggestions on what we should go see and do? We plan on doing some snorkeling for sure. 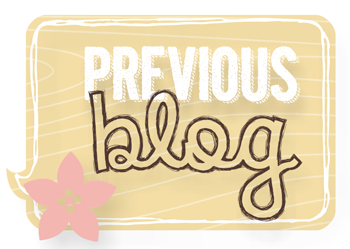 I have been quite remiss in posting on my blog lately as several things have taken priority over typing up a blog post. I am going to try to get back in the swing of things here and since I have LOTS of cards and projects that I have made in the last few months that I have not blogged about, I think I can even work ahead a bit :) My blog has always been about inspiration and less about sales (although I sure wouldn't stop anyone from ordering from me, lol), but I would like to get into sharing more of me here. So, that is my mission this month! I am completely in love with all things watercolor and I just can't get enough of this stuff! I made this card, and a whole pile of others with the same technique that I will share later, all the way back in October (I think). 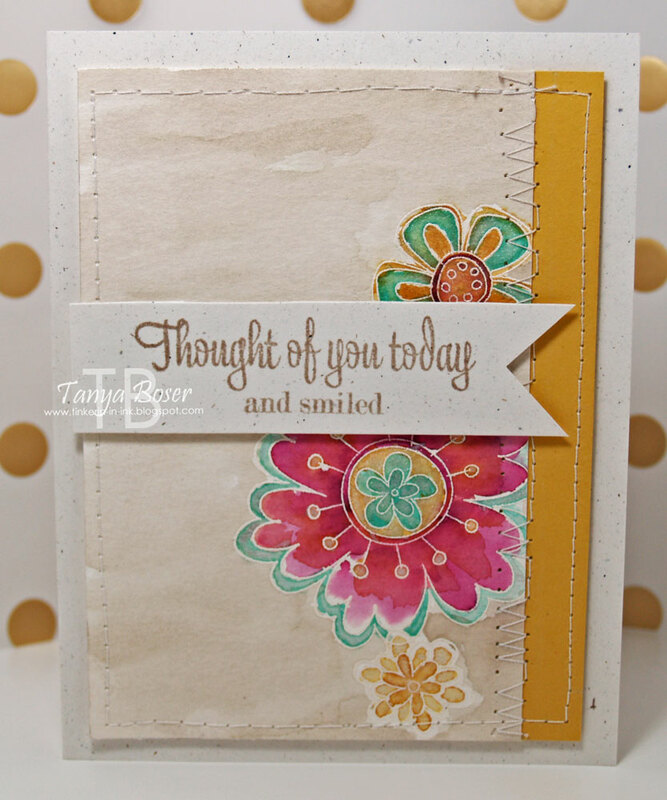 The sentiment is not SU, but one of my other favorite stamp companies and I have had it for a few years. It fit perfectly with the World Map BG though. 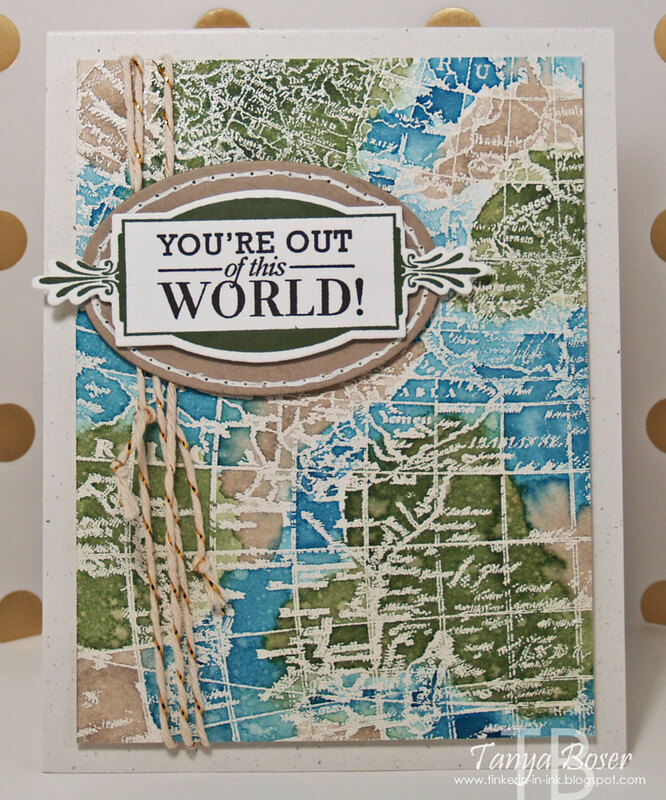 To make this panel, I just stamped the World Map image in Versamark on watercolor paper, then embossed with White embossing powder and heat set. Then I taped the panel down with Painter's Tape on a piece of MDF board that I had left over from a shelf building project. 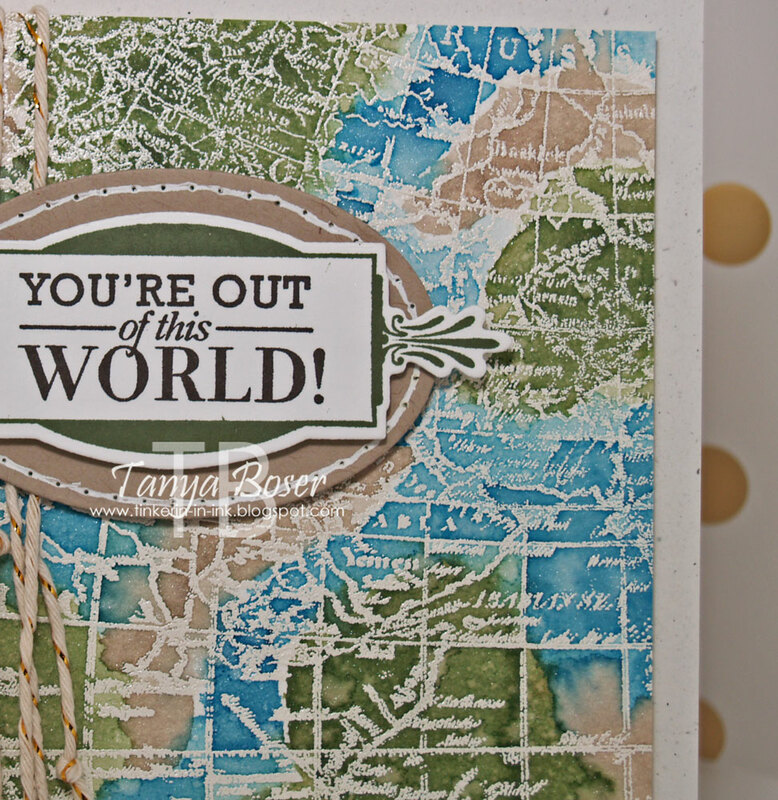 I keep it on hand for just this technique :) I used my Aqua-painter to add the inks over the map to create the ocean, greenery, and desert impressions. Then I spritzed it with a mix of Pearl Perfect Pearls and water. Air dry, then trim down to 3¾"x5", add some Gold Baker's Twine, and mount on a Natural White card base with dimensionals. I don't know if you can see the shimmer here, but it turned out really pretty, and still masculine. 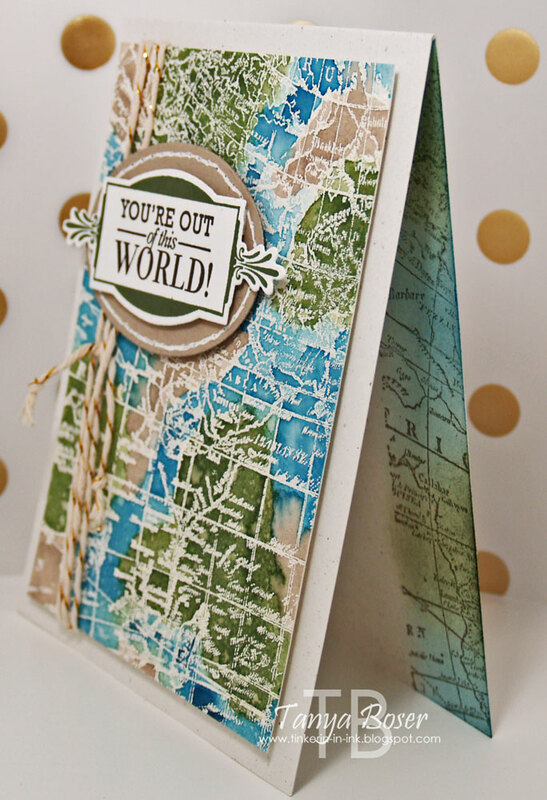 On the inside, I masked off a small section and stamped the map image in Soft Suede and then sponged with the blue and green inks. A little story about where this card ended up. At Christmas time this year, I had all the cards I needed made and all of the envelopes addressed, but I was having a heck of a time picking which card should go to whom. That can be a problem when almost all of the cards you make are only in multiples of 1-3! So I took a box of cards that was Christmas cards in the front, and a variety of cards in the back that I was just storing in the same box, and asked everyone to pick the Christmas card they would like this year. I added a message and our family photo right then and there. My sister, who rarely speaks to me other than to ask for money or be otherwise unpleasant, asked to look at the box. And proceeded to snag between 10-15 of the cards out of the back! So I admit this upset me a little bit as some of those cards were my current favorites and honestly, I wasn't done petting them yet! You all know what I mean :) AND there have been years between times that I have spoken to my sister at all. She does not allow me to have her contact info and calls me collect when she does call. She has Borderline Personality Disorder, which makes her a difficult person to have a relationship with, and I refuse to play her games. Yes, I am a bit stubborn too. I never said she is the only one ever in the wrong :) But don't tell her I said that ;) But she is my sister, and I still love her and wish we could get along. 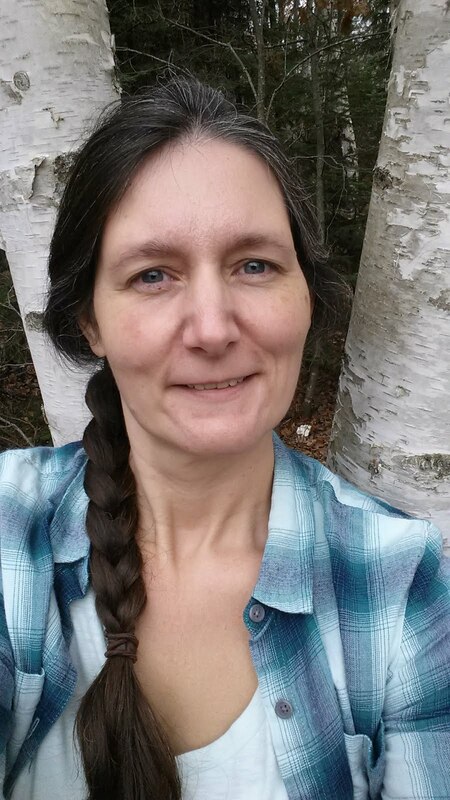 So this incident, at Christmas, reminded me that I need to let go, and just be happy that I could share some of my passion with my sister, and bring her some joy. At last, a positive interaction, for the first time in over 10 years! She kept going on about how beautiful the cards are, and how artistic they were. I can honestly say she has not spoken so well to me since I moved out when I was 18 and she was 13. AND she wanted to have pictures taken as a family. Here I am with my Mom and all of the siblings I grew up with (Eric, Kirk, Nikki, Mom, and me from back left to front). I say it that way because I have several steps and a half brother that I did not grow up with, but that is a whole other story. And yes, Eric and Nikki were adopted, lol! Cuz we look so much alike, right :) Nikki lived in an orphanage in Seoul, Korea from birth until 3 years of age and suffered from malnutrition during that time. When she arrived in our home, she weighed 21 pounds. The damage caused to her early childhood psychological, emotional, and physical development have caused or contributed to the BPD, I am sure. And while I get frustrated with the reality of interacting with her, I have to remind myself that she can't be enjoying it either, and that it isn't easy to live a life that way. So, buck up Tanya! And love thy sister! Big Ways, Small Ways, Thank God Always! Especially Today. So, normally I wouldn't be posting a non SRC post on an SRC Monday, but I am making an exception today. Because, holy bananas, we had a harrowing experience in our household yesterday, and have much to be grateful for today. I will go into all of that at the end of this post. First I will share a card that I made back in December. I was messing around with the Mixed Bunch set in preparation for the SRC hop featuring that set and made this card, among others. I adore the Core'dinations cardstock and had stopped using it when it was no longer in the Annual Catalog. But, I am not going to leep doing that kind of thing! If I love it and I have it, I am going to use it and blog about it :) You can still get this paper on the clearance rack, so I really don't feel too guilty about it anyway. Just don't let me order any more of it, lol! All of the layers are popped up on dimensionals, and I simply stamped the remainder of the sentiment inside. OK, now for the scary story. And let me start by saying: No One Was Injured. No One. This is the first car that I ever bought that was not at least 10 years old when I got it. 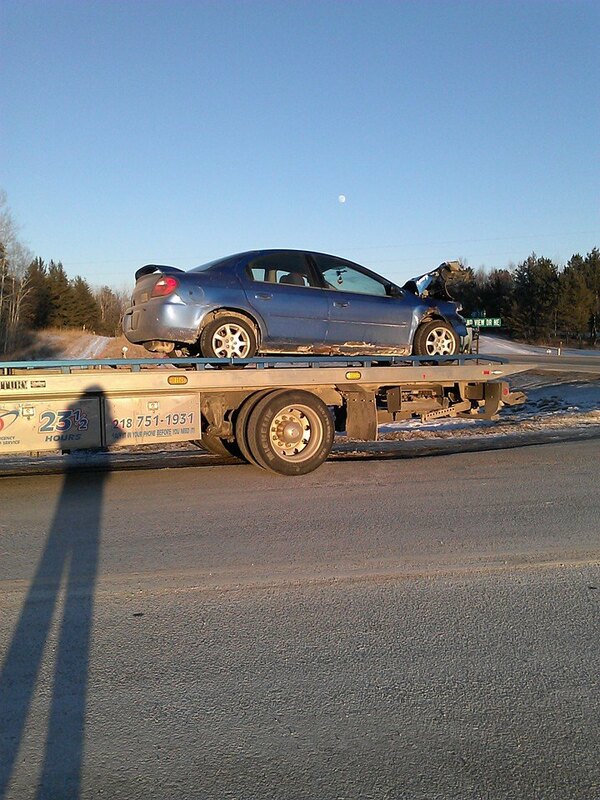 It is/was a 2005 Dodge Neon and it has 196,000+ miles on it. I bought it in 2006 with 35,000 miles on it and drove it until I handed it down to my youngest child in 2013. All 4 of my children learned to drive in this car and took their drivers test in it. It served us well until Sunday afternoon when it came to an abrupt end. Geoffrey had just left our home and was 1/4 mile from our doorstep. He had come to a complete stop at the intersection with the highway, looked both ways, and pulled out in front of a fully loaded logging semi. He just didn't see it. There were no curves, no fog, and no ice. 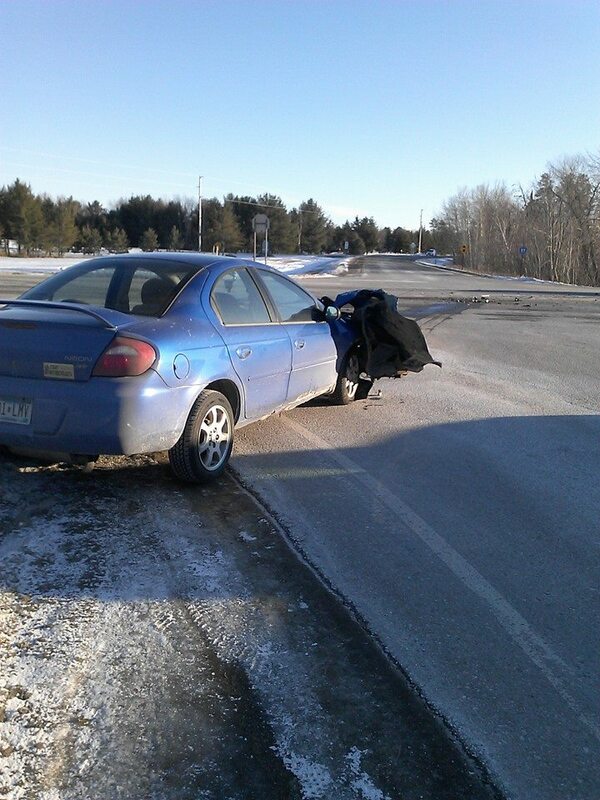 The road conditions were perfect and the sun was to his right and he turned left in front of the semi. The semi driver had great reflexes and swerved into the oncoming lane to avoid hitting our car with the semi-tractor, loosing his load of logs in the process. The trailer with the now falling logs ran over the front end of our car. The logs scattered over both lanes, and an oncoming van had to take the ditch to avoid the semi that was now in his lane. The semi and the van did not roll, the logs did not hit anyone but did impact the hubcap of the oncoming van. There is a steep ditch and a frozen pond where the semi and van stopped and we are so lucky no one ended up in that! Again, I repeat. No one was hurt. By rights, my son should have died yesterday. We are so lucky. And blessed. Thank You God, and thank you truck driver for your quick thinking and even faster reflexes. You can see here that the hood was peeled and folded on itself. And the rest of the car looks so very normal. 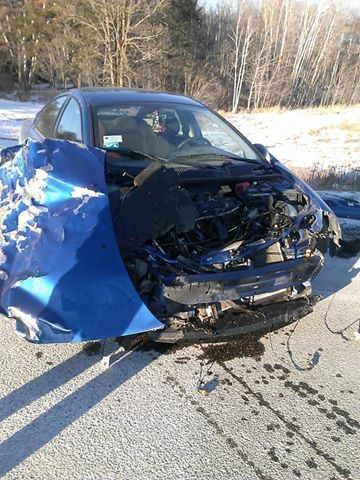 I am going to miss that car so very much, but I would have missed my son exponentially more. One more shot as "Mom's Shiny New Car" is taken away. Good-bye Neon. Hello to a new and glorious day! 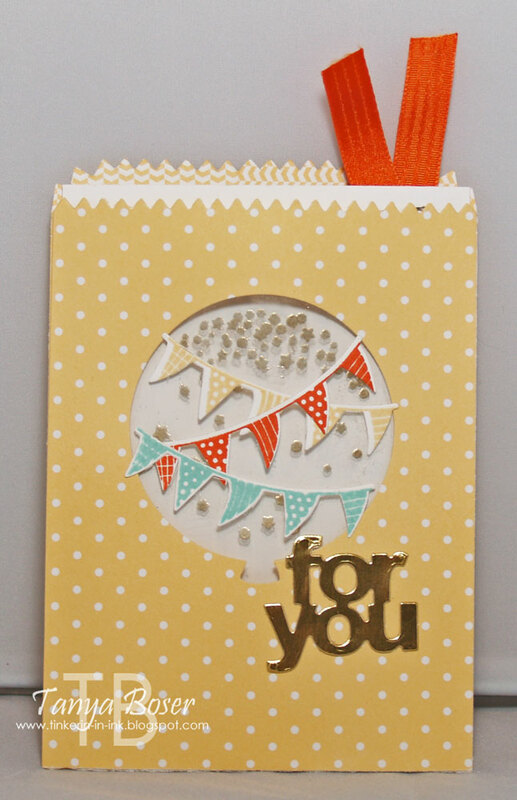 First up, I have this soft and neutral baby card. 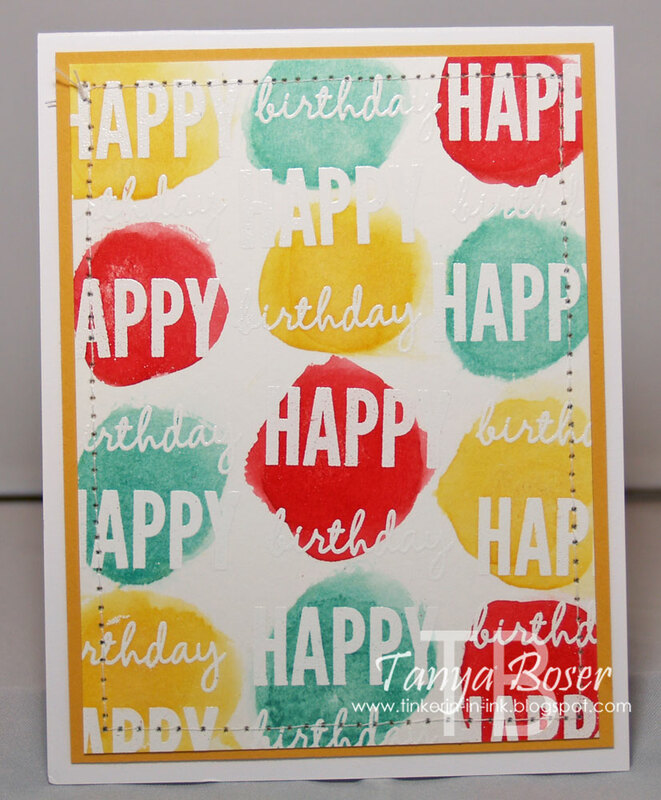 I am still in love with watercolor, so there is plenty of that happening here :) I used the Friday Mashup Sketch #195 for this card. Here is how I made this card. 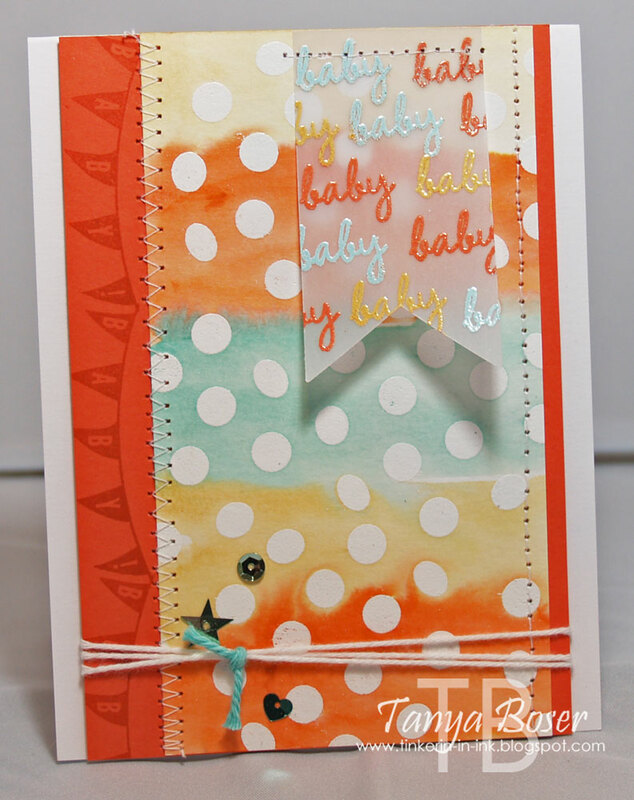 Use Aquapainter and So Saffron, Tangelo Twist, and Pool Party reinker to make the stripes of color. Set aside to dry. 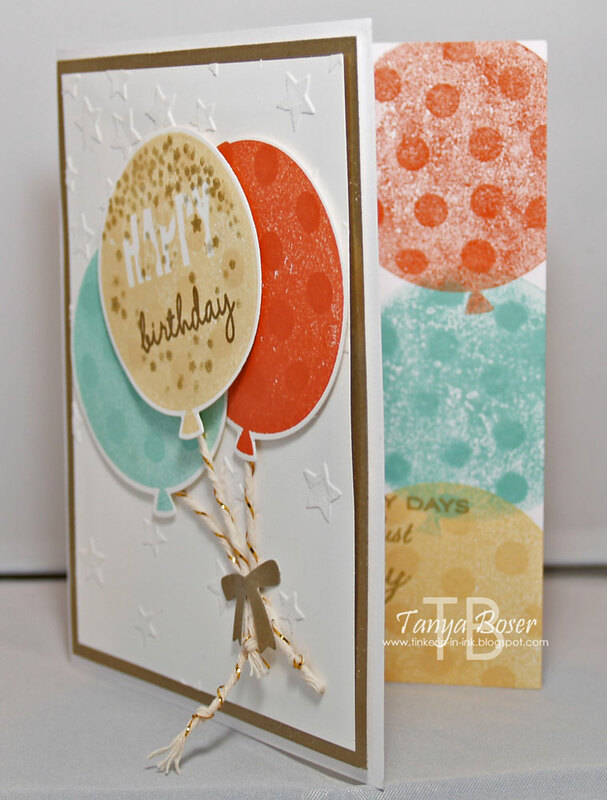 On the left hand side of a 3¾"x5½" panel of Tangelo Twist, stamp the baby banner 3 times in Tangelo Twist ink. 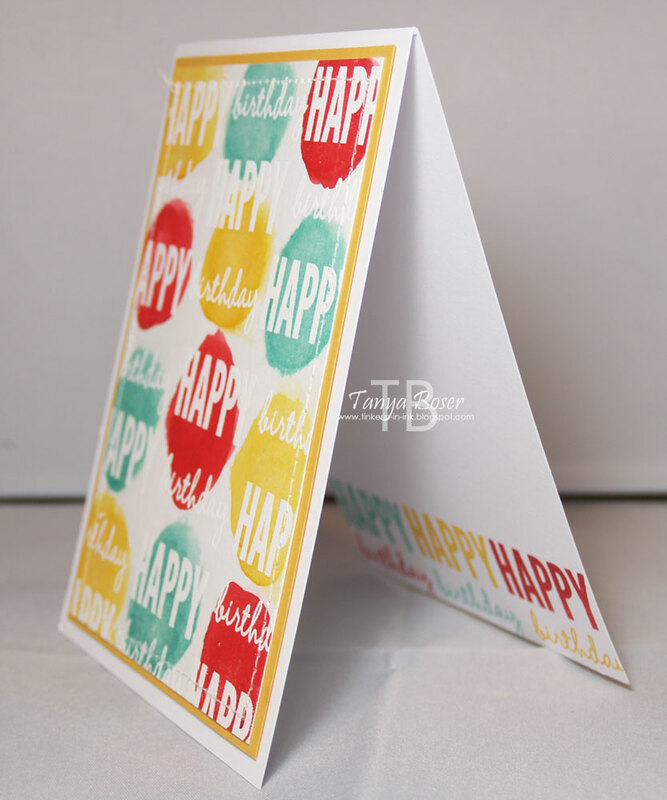 Cut out 2 banners from vellum cardstock, they may need to be different sizes depending on what sentiment you use on the inside of the card.On the first banner, stamp "baby" in Versamark and sprinkle Pool Party embossing powder on it, tap off excess. 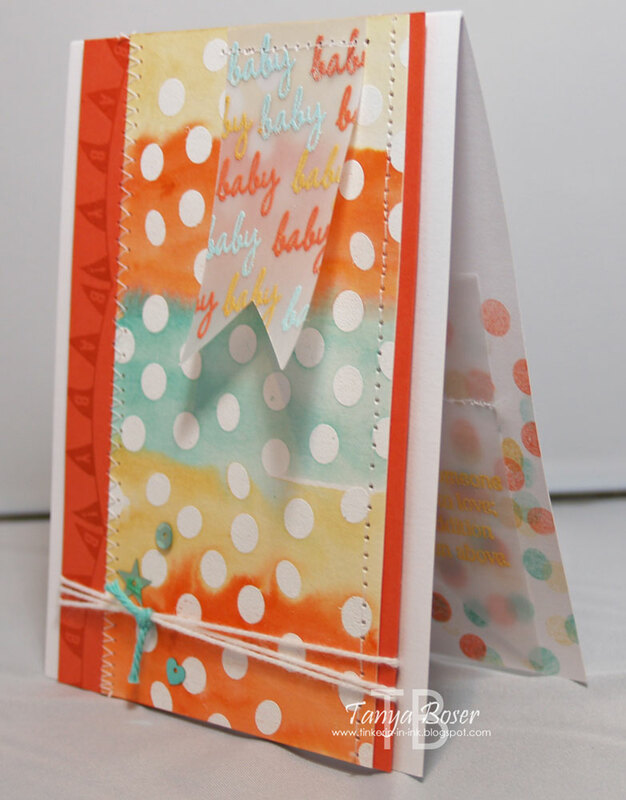 Stamp "baby" again and sprinkle with Tangerine Tango embossing powder, tap off excess. 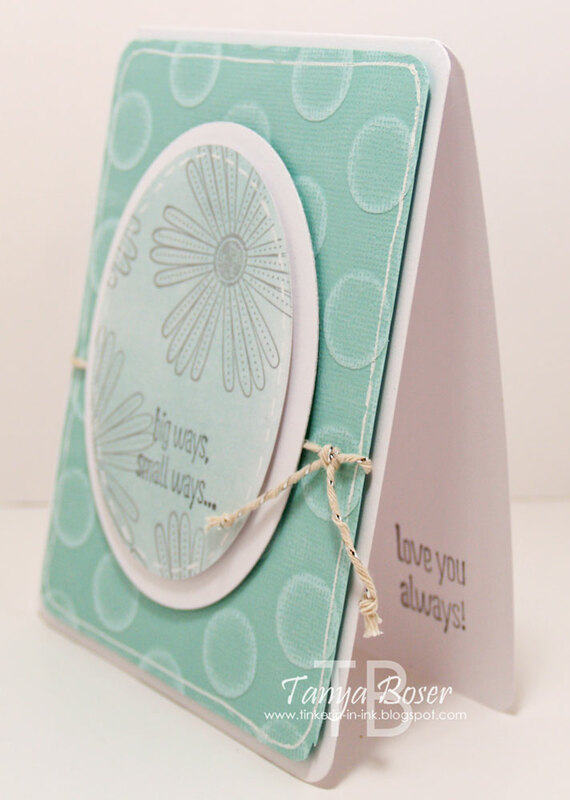 Stamp baby" again and sprinkle with Crushed Curry embossing powder. I think you get the picture :) When the banner is covered in babies, heat set the embossing powder. 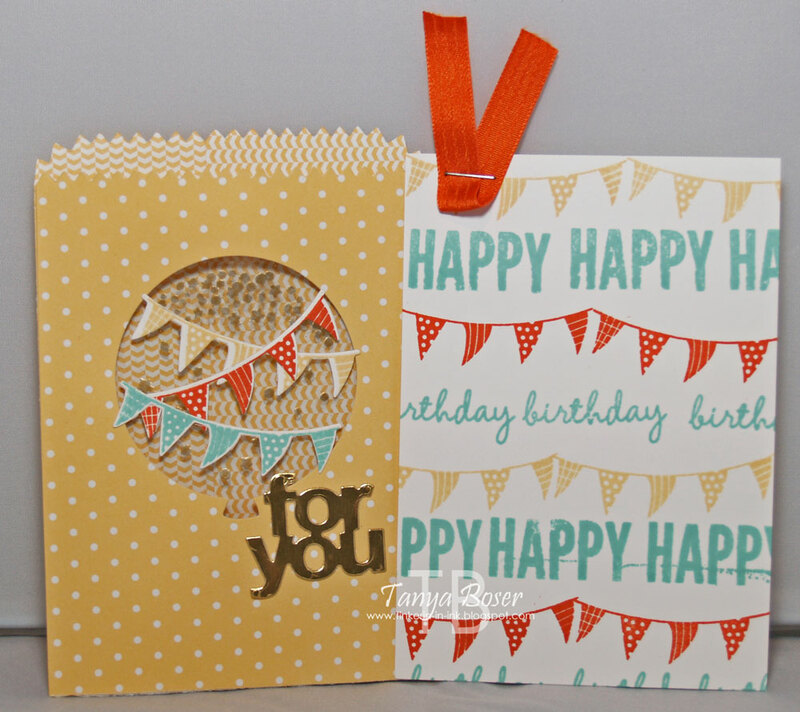 On the second banner, stamp the sentiment for the inside of the card in Versamark and emboss with Crushed Curry powder. Lightly glue the watercolored panel to the Tangelo Twist panel and sew with zig zag stitch on one side and straight stitch on the other, then stitch the vellum banner to the panel. Tie some White Baker's Twine around the bottom of the panel, add a knot of Coastal Cabana Twine, and adhere some Coastal Cabana sequins with Crystal Effects. 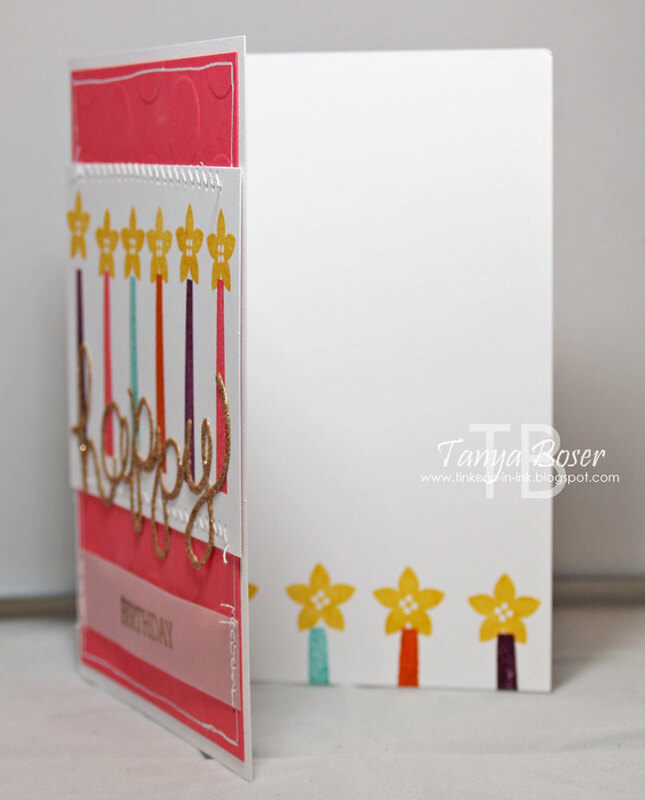 Adhere completed panel to the card front with dimensionals. Stamp off and then stamp the 3 colors of dots on the inside lower right corner, then stitch the second vellum sentiment banner over the dots. DONE! Here is the inside of the card. I think I went a little overboard on the dots inside, but the vellum banner softens it up. 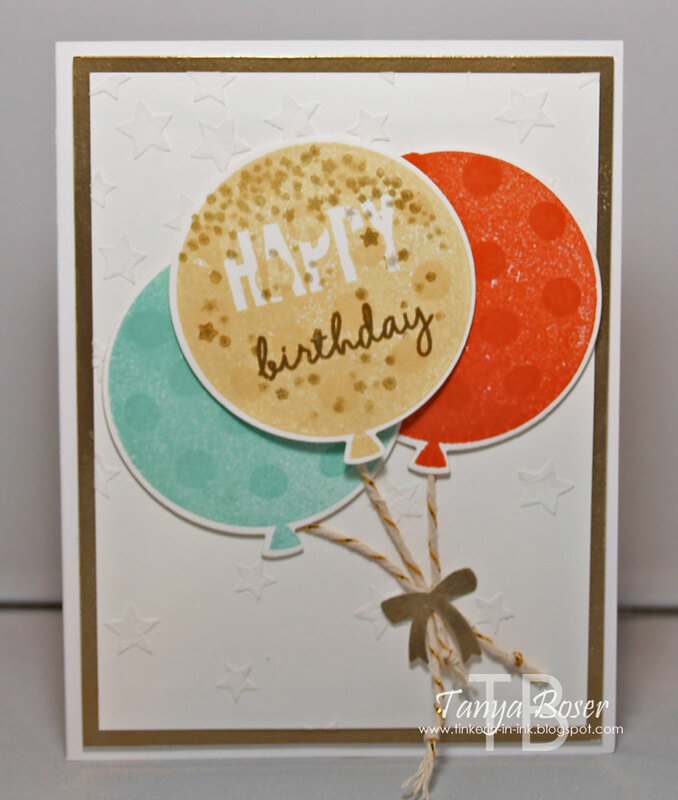 pThis card is much more simple, although it is also a watercolor card :) This time I stamped the "HAPPY" and the "birthday" repeatedly in Versamark and embossed with White embossing powder. Then I took my Aquapainter and used Crushed Curry, Pool Party, and Real Red ink from the lids of the inkpads to color on the circles of color. 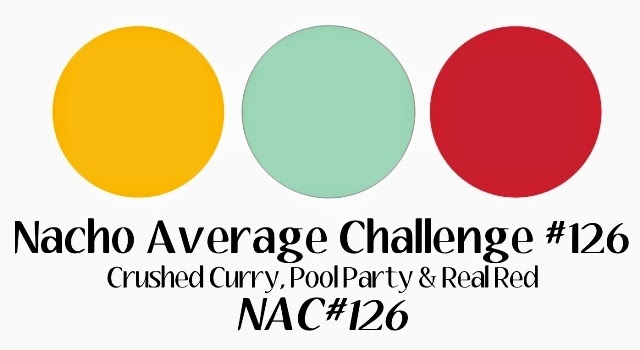 (I used the Nacho Average Color Challenge #126) Then I set it aside to dry. I ended up trimming the panel down to 3¾"x5" and matting on Crushed Curry. Inside I just stamped the words in each color again. This was a pretty quick and simple card to put together, and I really like how it turned out! I am thinking that a message could be written on the back of this note card and a gift card could be attached to the stamped side. 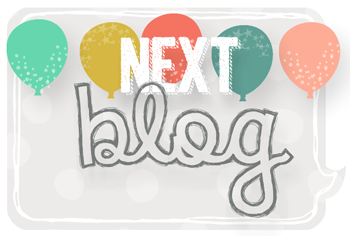 That is all I have for you this time, and now we head off to Holly Krautkremer's blog to see what fabulous-ness she has come up with!